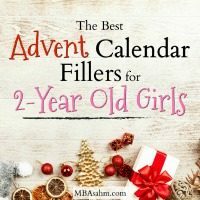 Looking for Advent calendar fillers for 2-year old girls? I’ve totally got you covered! This is one of my favorite things to shop for because it’s pretty much how you launch your Christmas season. And Christmas for a 2-year old is such a special time because they really start to enjoy things…so it almost feels like their first Christmas! All of these Advent calendar filler ideas are easy to get, so hopefully this list will make your job easy AND fun. Good luck with your shopping and Merry Christmas! For my baby shower, my sister had a brilliant idea idea to ask each guest to bring what they thought was one of the best toddler books instead of a card. So with each gift, I received a children’s book with a note in it for the baby, and I now have an awesome collection of books for my son that will last him years. 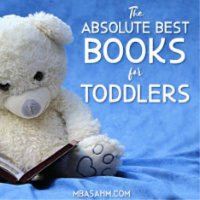 I’ve sorted them out by age so some are still a little old for him, but at just under 1 year old, he has clear favorites. In fact, some he loves so much that he’d prefer it over a toy. We joke that his lovey will end up being a book instead of a stuffed animal. Last year, we started using a DIY Advent Calendar that my mom made for us and it was the cutest thing ever! It required that we find our own Advent Calendar fillers, which is a challenge, but also one of the best aspects of doing one of these Christmas activities. Advent Calendar fillers for 5-year old boys are so much fun to shop for and if you think outside of the box (or calendar), there are so many fun ideas you can incorporate! No matter what you choose, Advent calendars are one of the best ways to really experience Christmas the whole month of December and nothing is more exciting than doing that with 5-year old boys! So if you can get all of your Advent calendar fillers ahead of time, you’ll be the happiest family on the block and you’ll get to see that Christmas excitement every single morning. 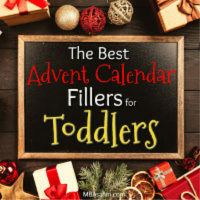 I’ve been at it for weeks, but I’ve finally found the best Advent calendar fillers for toddlers and I am so excited to get the Christmas season started! Nothing is better than celebrating Christmas with a toddler and an Advent calendar only makes the season more exciting. There are so many fun options out there for DIY Advent calendars, so coming up with your own fillers is becoming more and more popular. Not only are there tons of cute little gifts you can use, but there are also lots of fun activities that are free, easy, and will help get everyone in the Christmas spirit! 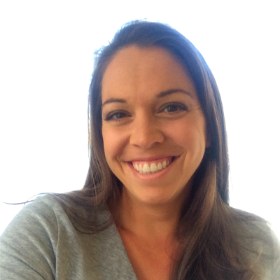 It’s great to get a gift on Christmas or a birthday, but what about the gifts that last all year long?? 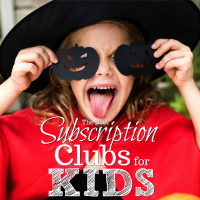 Believe it or not, there’s a lot of options…all in the form of the best subscription clubs for kids! These amazing subscription clubs send your child a gift every single month…and some are the gift of an actual activity, as opposed to something that just adds to the clutter. So if you’re looking for a unique gift for kids that will set you out from the pack (or reduce the amount of clutter! ), consider these amazing subscription clubs. Finding the best gifts for 4-year old boys is no simple task. But when you do find something they love, you will feel like the coolest. person. ever. Because these guys have the energy of 100 adults and the enthusiasm of 1,000. So hit it out of the ballpark and get them the perfect gift! 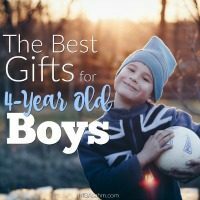 All of these gift ideas have made my 4-year old son go crazy and he LOVES them.